In today's living style we mostly have a small kitchen in our homes. Plus we have a lot of stuff to manage in small space with creativity. The important thing is we don’t have much space to add proper decor items in our kitchen due to less space for that people are always in search of unique and creative ideas to decorate their small kitchen. However, organizing the kitchen in a great style is surely creativity itself. For that, you can add small items in your kitchen hanging on the wall so that it can take less space. You can store your food items in fancy jars which not only store your food but decorate the kitchen as well. Using blue pottery into the kitchen is one of most used and attractive item for the small kitchen. We will find a number of fancy decoration items in the market which rapidly changes with the time, but blue pottery is something always attracts looks elegant in bedrooms, living rooms, and kitchen. This is the unique piece of art which has been made hundreds of years ago but still looks adorable in its style. You can place your kitchen herbs in this blue pottery pots and can hang or place them where ever you want. The best thing about blue pottery is that whatever your kitchen color theme is, this always looks good in it you don’t need to match it because it is the unique piece itself. 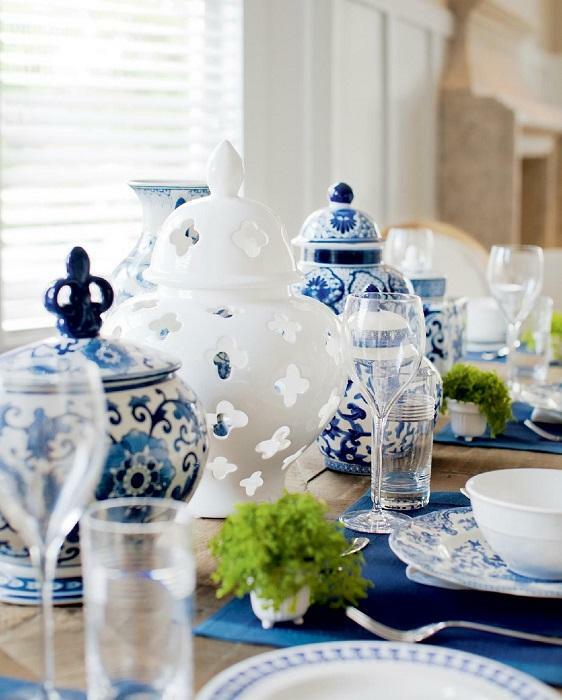 Moreover, you can also use blue pottery serving dishes to make your serving more creative and sensational. Not only decor items can make the place beautiful but you can also make it attractive with lighting. Especially, if you have a dark color kitchen you should add more lights to make it brighter as dark paints and colors give the feeling of smaller space. You can add lighting under the over the cooking range, under the cabinets and wherever it will suit. Moreover, replace the bulbs with LED lights which looks brighter and energy efficient as well. You can also use LED strips under the cabinets which gives the more attractive and decent look to the kitchen. Place the large mirror in the kitchen wherever space is available, this will reflect the light and plus give the wider look to the kitchen as well. The best way to make your kitchen more attractive is to make it colorful. You can add colors in your crockery and dishes plus you can also paint a single wall in different bright colors in strips yourself at home, which is not a difficult task. Or another idea is to paint all the walls in different colors of your choice which goes with your cabinets and shelves. The crockery and small decorative items can also be matched with the paint colors. This will look the instant bright look to your kitchen plus makes your mind fresh as long as you work in your kitchen. The colorful stools can also be added to the kitchen. You have to be more selective for the accessories of your small kitchen. You need to be smart to select the items which look good in small kitchen plus can store your kitchen item in it as well so you can enjoy both benefits. You can go with pretty, smart and elegant dishware and add frames and pictures in the kitchen hanging on the wall or paste them on to the cabinets or refrigerator. A small rug in the kitchen is also a good option for decorating it which goes with the colors of shelves or walls. Plus you can also go with the unique curtain or blinder on the window of your kitchen opposite the color of walls. You can go with the 3D wallpapers for your kitchen walls of fruits, vegetables, nature or anything you like to watch. 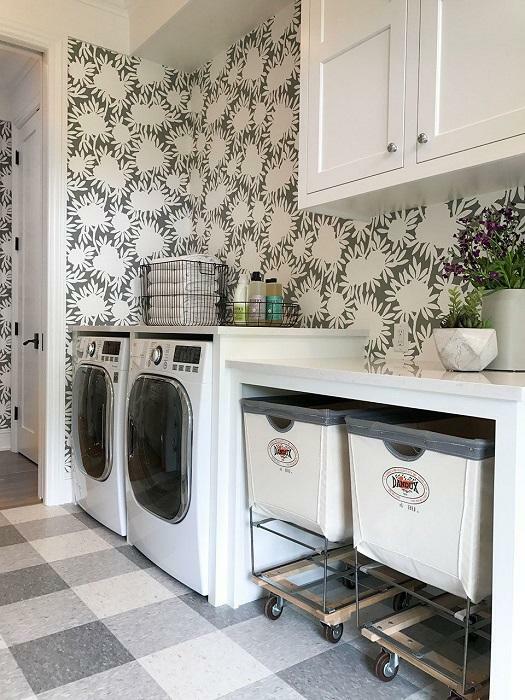 Wallpapers instantly grab the attention and look attractive as well plus it doesn’t affect the space of the kitchen. Furthermore, you can also play with the different patterns like draw the outline of the cabinets and handles, you can make the food charts and height measurement scale on the wall, plus the spoon and fork can also be drawn on to the wall. There are a lot of ideas if you want to play with colors and patterns in your kitchen. It increases the beauty and doesn’t use the space as well.